There are several different versions of the story how the six-piece, North Carolina funk outfit Yo Mama’s Big Fat Booty Band came up with their name. Guitarist J.P. Miller’s favorite rendition involves a fortune telling machine in Las Vegas. 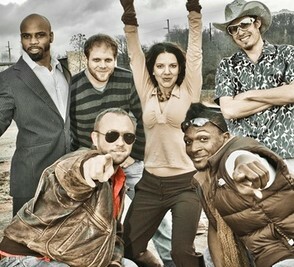 The Booty Band has seen several changes in the 11 years since, including numerous line-up changes, different front men and cross-state relocation to Asheville, N.C. Early shows were known to feature belly dancers and bring their own dancing pole. 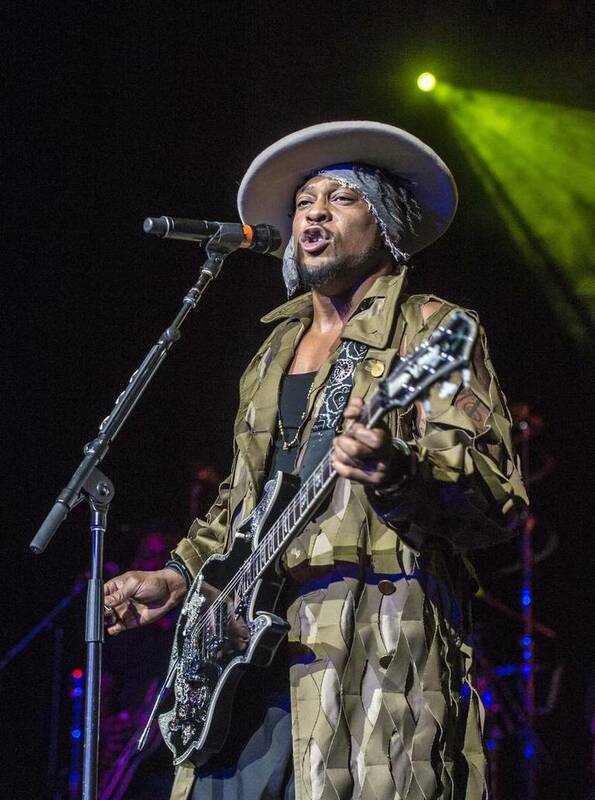 As a guitar player, Miller grew up emulating Jimi Hendrix and Funkadelic guitarist Eddie Hazel. He said each band member brings his own backgrounds and influences to the ensemble. This means at any moment the music could show flavors of reggae, hip hop, jazz or ‘80s pop. The band’s current quest to keep booties shaking started with a hometown show in late July. 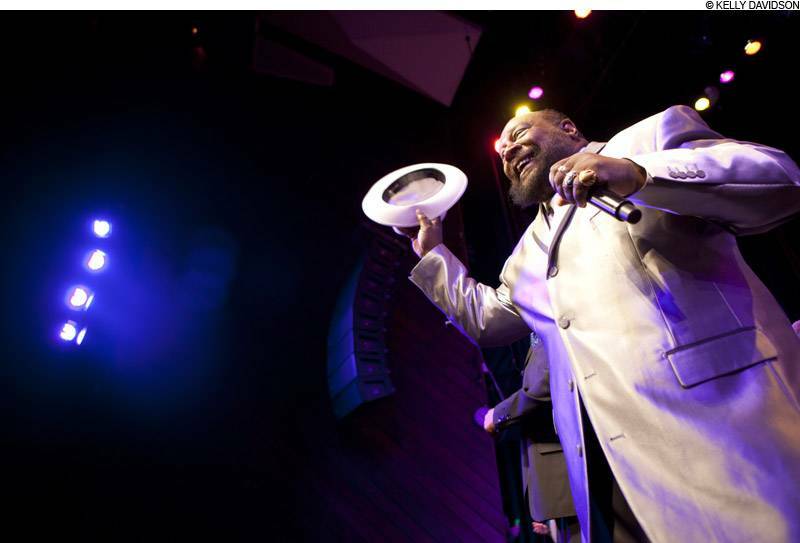 Doin’ It Hard tour stops include dates in Missoula, Mont., Haines, Alaska and New Orleans. Veterans of two Wakarusa music festivals at Clinton Lake and this year’s festival in Arkansas, the Booty Band drop their infectious funk on the Bottleneck in Lawrence, Kan. next Wednesday. The tour’s final dates in Asheville and Key West, Fla. around Thanksgiving will celebrate the release of the Booty Band’s fourth album. Miller said the group wanted a warmer analog sound for the album so they recorded directly to tape. This process eliminated the possibility of overdubs and meant the band had to put in plenty of practice so they wouldn’t be wasting expensive tape and studio time. Funk fell out of favor for a while, but Miller is glad to see the genre regaining popularity. Kansas City got both versions of the funk Wednesday night in the Crossroads. 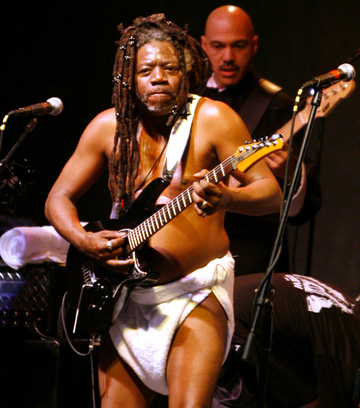 He was succeeded at the microphone by a guitarist wearing a diaper who signaled the end of Funkhouser’s reign and the beginning of George Clinton’s. Initially, the show felt like more of an event than a concert. The sold-out crowd drew from nearly every demographic in the city, creating a festival atmosphere, and “Bop Gun,” the second song of the night, had them all dancing. Clinton’s troupe, Parliament-Funkadelic, also heightened the atmosphere. 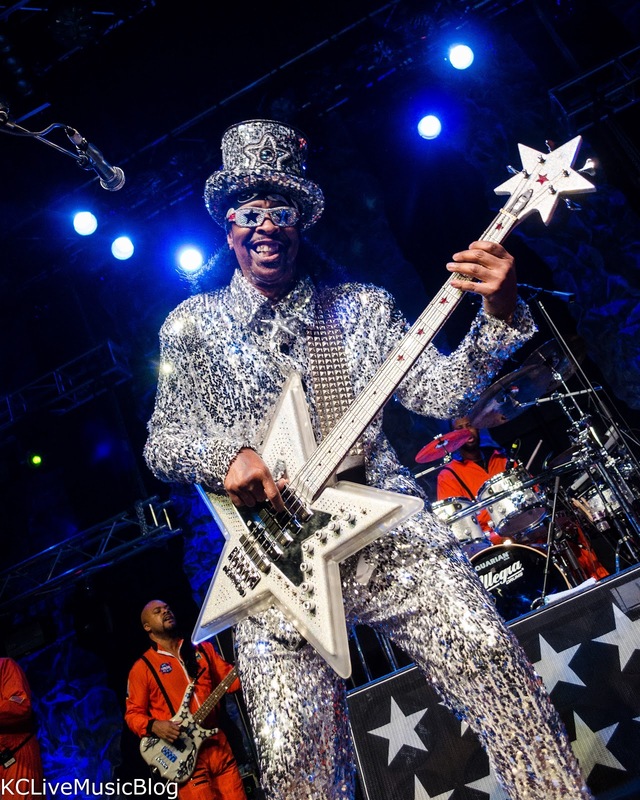 Between the Diaper Guitarist, Sir Nose, the Pink Pimp and a back-up signer in a gold shirt and crown, P-Funk has enough personality and characters to rival a Broadway cast. Clinton emerged 40 minutes into the set wearing a black track suit and a shock of bright orange hair. The show started strong, but it peaked after the first hour. After a strong performance of “The Big Payback” in tribute to James Brown, Clinton tried getting a jam started that went nowhere and took too long getting there. “Dr. 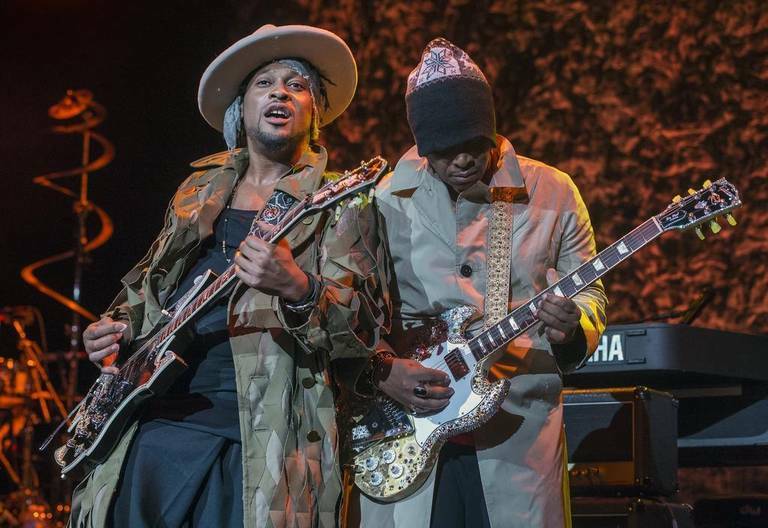 Funkenstein” failed to reignite the groove and a trip through the “Maggot Brain,” a proto-metal dual-guitar instrumental and Hendrix-laced bass/guitar/drums jam, pulled the show off course. Clinton closed the show doing the Twist, the Monkey and the Swim to a medley of ’50s rock and roll hits. The man who taught a generation how to dance was reveling in the moves that schooled him. Even though the show was light on the hits until the end, most people walked out happy. At three-plus hours, there was more than enough to please everyone, even if the best moments came with long intermissions.